Cultures collide when a family of restaurateurs migrates from India to find a new start on the European mainland. 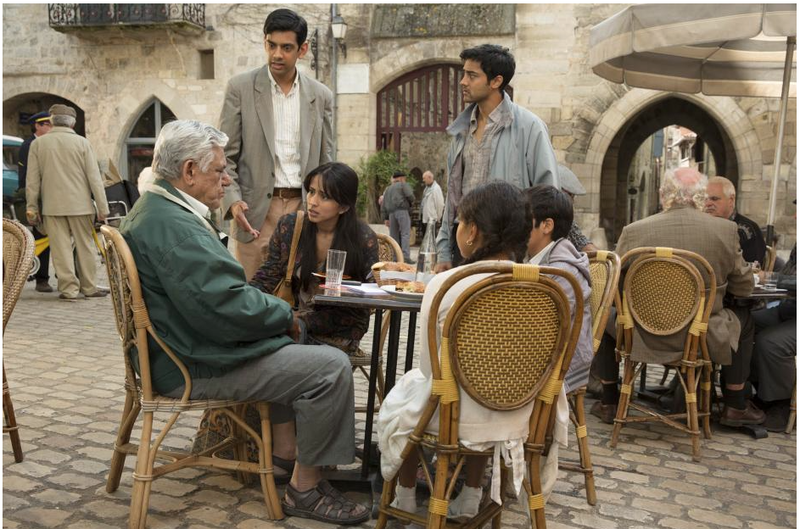 Fate seems to decide the family’s new address, as their van breaks down in a small French town. They purchase a large restaurant which is directly across the street from a famous, Michelin-starred restaurant. The family draws together as they face fierce and unfriendly competition from the neighboring restaurant and – more troublingly – anti-immigrant hatred from some of their neighbors. While the family collectively adapts to France, the prodigy of the family, a young chef named Hassan, begins to fall in love with a chef at the restaurant across the street, finds great culinary success, leaves for fame and fortune, and starts to miss home. Adoption is not part of the story. The matriarch of the family died traumatically in India, and the family subsequently left India for other countries. Some viewers will connect with the loss of a parent followed immediately by relocation to a new country. The prejudice that Hassan and his family experience may be familiar to some people who were adopted cross-culturally. Years after her death, a smell reminds Hassan of his mother. Even though Hassan’s family meets some neighborhood opposition, other members of the community are welcoming and hospitable. One of Hassan’s competitors stands in the rain to undo the damage caused by some vandals. The film shows a family in the process of acclimating to a new culture, which could provide for some interesting discussions. Hassan’s family left India because an angry mob set fire to their restaurant and home; Hassan’s mother was killed in the fire. The scene, and the subsequent sadness, could be triggering for viewers who consider themselves to have lost a mother. The scenes of frenzied mobs could also be particularly difficult for some viewers. A second mob sets a fire which leaves Hassan’s hands temporarily burned and bandaged. I quite liked The Hundred Foot Journey, and found it to be one of the happier films I’ve seen this year. Except for the scenes I mentioned in the last section, the film is light in tone, whimsical, and often funny. It’s not likely to appeal to young kids because of the length (over 2 ½ hours) and, well, because it’s not a kids’ movie. But adults might quite like it – especially foodies, since the film does center around chefs and restaurants. Adults and teens in multicultural families could find it difficult to see the hatred experienced by Hassan’s family, but could also see the film as valuable for talking about the blending of cultures, the experience of being in an unfamiliar culture, and the different ways that people are treated because of cultural differences. This one is worth seeing. Have you ever experienced prejudice or hatred based on ethnic, racial, or cultural differences? How did you deal with that? How can two cultures blend? What foods remind you the most of your childhood?